Lead is a hazardous substance that was used in many materials and products before the risk to children was well-known. Lead poisoning is defined as the presence of lead in the body due to exposure to lead-containing materials, such as paint manufactured before 1978. Exposure may occur by breathing in paint dust in an older home. When the body carries lead into the blood stream, soft tissue and bones may become affected, and lead can remain stored in the body for many years. Exposure to lead may be harmful to organs and to the nervous system and kidneys. Although people of any age can be exposed to lead poisoning, children are at the greatest risk. 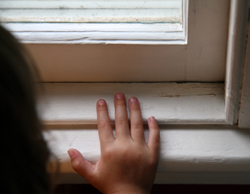 Children are more likely to absorb lead dust, because they place their hands in their mouths and spend more time in proximity to the floor where there is a greater concentration of lead dust. A child’s small body can absorb lead easily, and lead poisoning may cause long term effects because a child’s body is still growing. Even unborn children may be harmed by exposure to lead. If a pregnant woman has an elevated blood level, she can pass lead from her blood to that of her unborn baby, causing the baby to suffer premature delivery, or low birth weight. Lead poisoning, negligence. Kane County, Illinois. Attorney John J. Malm has filed a lawsuit on behalf of an Aurora man against his landlord, claiming that his three young children were sickened by lead poisoning after ingesting or breathing dust or other particles from lead-based paint in their rented home. The family had been living in a rented home in Aurora when their three children - ages 4, 3 and 1 – were discovered to be ill with unsafe concentrations of lead in their blood, due to lead exposure from the home. Children exposed to lead at a young age may have language and intellectual delays later in life. Children with elevated lead levels may suffer from learning disabilities, mental retardation, behavioral problems, lowered intelligence, stunted growth, and hearing impairment. Recent studies show that childhood lead poisoning can contribute to other problems later in life, such as academic failure, juvenile delinquency, and high blood pressure. The only way to determine if your child is suffering from lead poisoning is through a blood test. Children entering day care, preschool, or kindergarten, are routinely screened for lead poisoning. A blood sample yielding a level of 10 mcg./dL, or greater, is considered unsafe. Special drugs called “chelators,” may be used to treat children with very high blood levels. These medications are given under a physician’s direction and administered in the hospital through intravenous, or intramuscular, injections, or by mouth. Lead poisoning is preventable. If you live in a home built before 1978, lead poisoning can be avoided by taking simple precautions, such as cleaning up paint chips and peeling paint, washing floors, countertops and window sills regularly, feeding children a diet high in iron, calcium and vitamin C, and using appropriate safety measures when remodeling an older home. If a parent suspects that their child may have been exposed to lead, or has suffered lead poisoning, contact a physician and get a blood test right away.